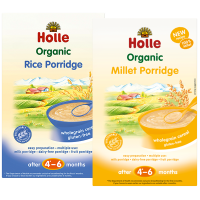 Holle Organic Baby Weaning Oil is the perfect supplement for essential nutrients for your baby. When weaning starts and the amount of energy and other nutrients taken in through milk decreases, there can be a period when your baby's body doesn't get everything needed for optimum growth and development. Holle worked over two years to develop the perfect recipe for this unique oil to help your baby thrive. The mixture of premium organic rapeseed and sunflower oils gives the perfect ratio of the essential fatty acids omega 3 and omega 6. Five percent precious hemp oil completes the blend and contains not only essential fatty acids but also a special fatty acid called gamma linolenic acid. Gamma linolenic acid is very rare in nature. It is most usually found in breast milk and is particularly beneficial for the skin, including having a positive effect on eczema. 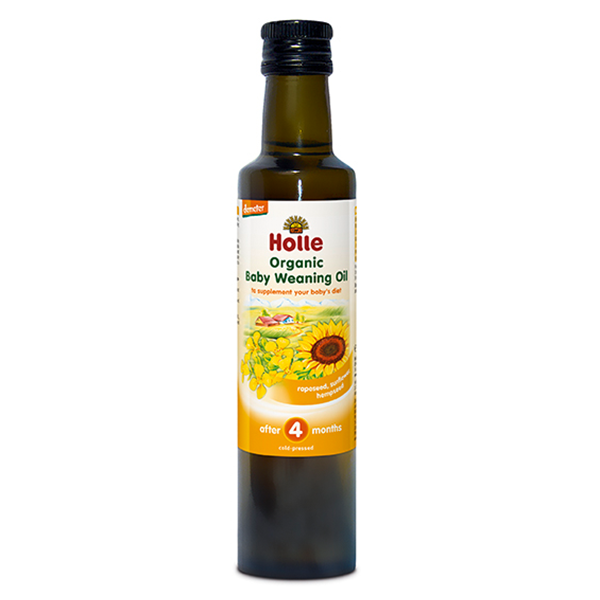 Read more about the benefits of Holle Organic Weaning Oil on our blog. With this unique oil you can supplement your baby’s diet through the transition to family meals and replace some of the very specific nutritional benefits of breast milk and baby milks lost during this process. From the age when your baby is ready for solid foods, organic baby weaning oil becomes an important part of a balanced diet. 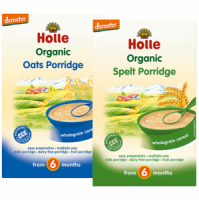 It is an excellent source of energy, the essential fatty acids omega 3 and omega 6 and other nutrients, which is why Holle recommends adding 1-2 teaspoons of baby weaning oil to milk-free meals such vegetable, potato and meat based meals as well as porridges made with water. 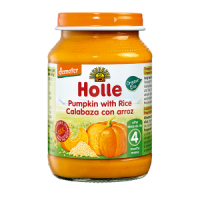 Holle also recommends adding the weaning oil to its porridges and jars. Use as directed when starting to wean your baby. Do not use before 4 months of age. For smaller amounts, simply adjust the amount of oil you stir in proportionately. Ready to use - no preparation. Free from gluten and cows milk protein. No added sugar and salt. Suitable for vegetarians and vegans. Cold pressed rapeseed oil (50%)**, cold pressed sunflower oil (45%)**, cold pressed hemp oil (5%)**. I add this to all vegetable/fruit purées to boost baby’s omegas and fat. also When i cook for baby recipes that require oil or butter I replace it with weaning oil. A little goes a long way with this weaning oil. I am lucky that my little boy hasn’t yet been constipated during weaning but I wished I had known about this oil when he got constipated badly from swapping him onto a hungry baby milk in the early days. It would’ve been a lifesaver. I would recommend this product if your little one suffers with constipation. Love this product and we know is the best quality for our weaning start. Great customer service, speedy delivery and very carefully, well packed products. We add it to our baby’s vegetable meals and he seems to really enjoy it. I add in my baby soups and looks much tastier. 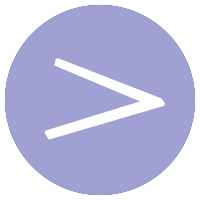 Essential product. 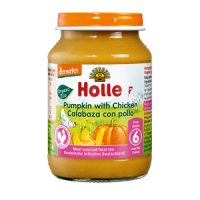 I add it to my homemade baby food.